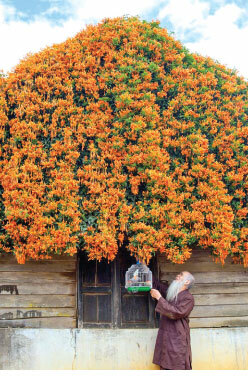 This old man appears to live in a real-life fairytale as his home is covered completely by a roof of flowers after a tree was planted next door. Huynh, has been taking photographs since the age of 15 because he likes to ‘keep the special moments in life’, and did not miss the chance to snap a picture of the special place in the middle of the blooming season earlier this year. He said: “In this image, the old man is sitting by the window reading, while the little girl is playing with her dogs outside. 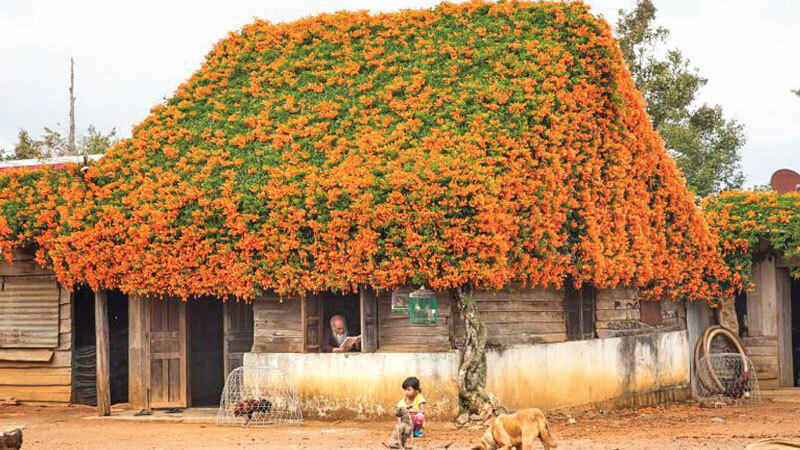 “The house has a beautiful, strange flower roof. The flower in this area is called the ‘morning sunflower’, a kind of vine.